The isocyanate molecule shown above is a kinetically amphoteric reagent with the electrophilic carbonyl group of the isocyanate carbon placed several Angstroms away from its nucleophilic hydrazine nitrogen. Due to this constellation of reactive loci in the dense area of space, it is possible to add an amine nucleophile to the carbonyl carbon and quickly follow it up by ring formation “around the corner”. This is accomplished using Andre’s previously reported Cope-type chemistry. The resulting molecules are novel and interesting from the diversity/medicinal chemistry points of view. For me though, it is the amphoteric nature of the centerpiece that is of particular note. This one has been long overdue… As you all likely know, the 2013 Nobel Prize has been awarded to Karplus, Levitt, and Warshel for their ground-breaking theoretical work that has enabled everything from modelling the way enzymes carry out chemical transformations to investigating receptor/ligand interactions in drug design (http://www.nobelprize.org/nobel_prizes/chemistry/). Professor Ariel Warshel, whom I know personally (more on that soon), is well known for using a combination of quantum and classical mechanics to tackle the seemingly insurmountable challenges of complex protein simulation. Interestingly, and despite the nature of this work, one of Ariel’s points is that a great question is the most important thing in his branch of science. The computing power is secondary. He has maintained over the years that it is erroneous to assume that the amazing things possible now are there due to the emergence of really strong computers. In Ariel’s view, he was able to pose and answer profound questions 35 years ago as well as he is able to do so today. It is all about which questions you ask, I suppose. In our lab, we feel the significance of the work credited with this year’s Nobel particularly strongly these days as we delve more and more into building a bridge between protein/small ligand crystallography and the design of chemical reactions that allow us to build better protein probes. Dr. Conor Scully, a research associate in our lab, has been the main driving force behind this project and the announcement of this year’s Nobel Prize really means a lot to all of us who use computers in efforts to understand chemistry. I do have a bit of a personal connection with one of the winners (Ariel Warshel). When I came to the US in 1992, I had no training in synthesis. During my undergraduate years in Moscow I worked on developing an algorithm for enumerating reaction mechanisms with the help of graph theory (very obscure). So… I had a fellowship (which I declined) to go to Oxford and work with Prof. Graham Richards. I also had an offer from USC. Los Angeles sounded really exciting to me despite the 14 hour plane trip and the infamous Rodney King riots that burnt half of downtown in 1992 (my father said: “Where the hell are you going?”). But there I came. With my background, I started investigating the research advisors and Prof. Warshel was one of the people I spoke with at length. He is a real gentleman, originally from Israel, who was really nice to me, and it really meant a lot. However, synthetic and physical organic chemistry ultimately attracted me more and I joined the labs of Prakash and Olah. When I was watching the USC press conference dedicated to Warshel earlier today, Olah (the 1994 Nobel laureate) made a nice comment at the end, congratulating Ariel. He also said that they both arrived to USC at about the same time (end of 1970’s) and saw a significant transformation of the university. There was a cool moment during his commentary: Olah mentioned that football is great but it is research that should drive a university. This is one of his pet peeves and I fully agree with his stand. I am not sure you all know, but a football coach is typically the highest paid position at a major University in the US. With this, I once again salute this year’s real heroes of science! Here is one of my favourite subjects: electrophiles. They are often used as reactive intermediates in synthesis, which is common knowledge. The vast majority of electrophiles are toxic to humans for a very clear reason: our bodies are largely composed of nucleophiles. Indeed, it is difficult to name an amino acid residue in our proteins that is electrophilic in nature. Apart from the ones that are neutral (leucine, alanine and the like), amino acids are nucleophilic (cysteine, arginine, lysine, serine, etc). Therefore, one should expect irreversible reactivity between exogenous electrophilic species and proteins. In fact, there are many drugs that act by way of covalent modification of the nucleophiles found at protein active sites. We are also told (rather emphatically, in all sorts of MSDS sheets we get from Aldrich!) to avoid contact with electrophilic chemicals. Alkyl halides are on top of some of those lists and many of these chemicals are banned by the Montreal Convention. It may come as a surprise, therefore, that some odd balls pop up here and there and, on the surface, there is no explanation for their relatively benign nature. Take Splenda as an example. This artificial sweetener contains sucralose, whose structure is shown below. This stuff is served at Starbucks, not to mention a ton of other establishments. One look at this molecule was enough to make me cringe when I first saw it. I instinctively considered all of my cysteines as potential targets! However, sucralose is benign and does not covalently inactivate cysteines. 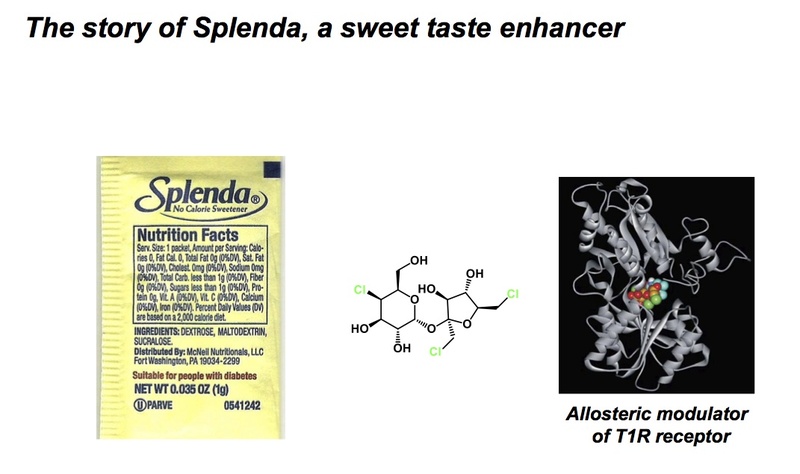 In fact, it is an alosteric modulator of T1R receptor, which explains its effect as a sweet taste-enhancing additive. There was a great PNAS paper on that some years ago (see the link below). 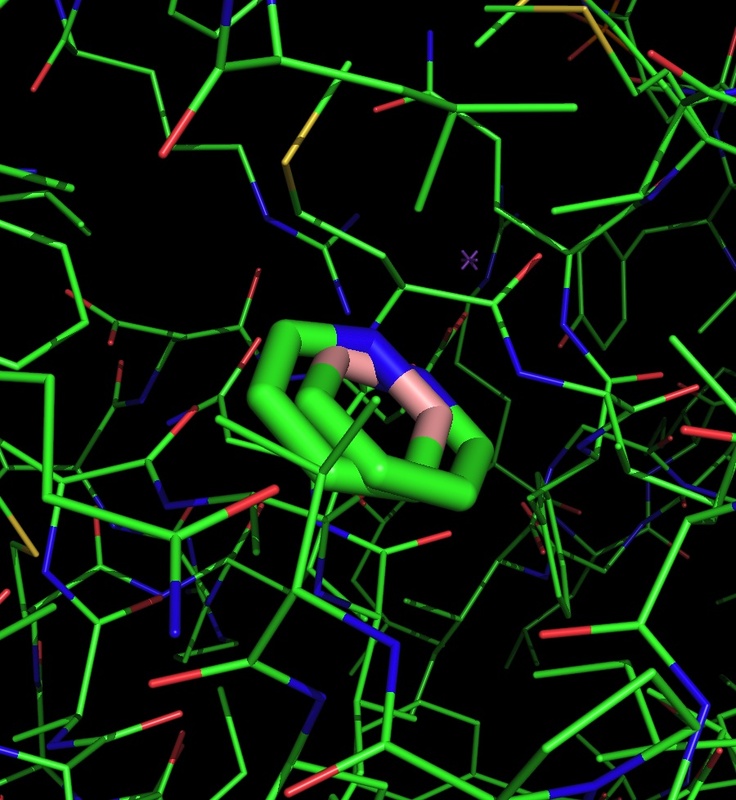 There is another lesson in this story and it relates to the foundation of Sn2 chemistry, the rate of which is rather sensitive to steric bulk around the reactive site. This is why we teach our students that neopentyl systems are lousy electrophiles. So, there you have it, folks: Splenda is quite ok for you despite the chloromethylene and chloromethyl groups in it. Next time you put it in your coffee, rest assured that your cysteines will remain intact due to relative rates and the good old physical organic chemistry. Here’s my Monday, October 7, 2013’s two cool facts about boron heterocycles. Who says that molecules have to be complicated in order to effectively interfere with protein-protein interactions in cells? 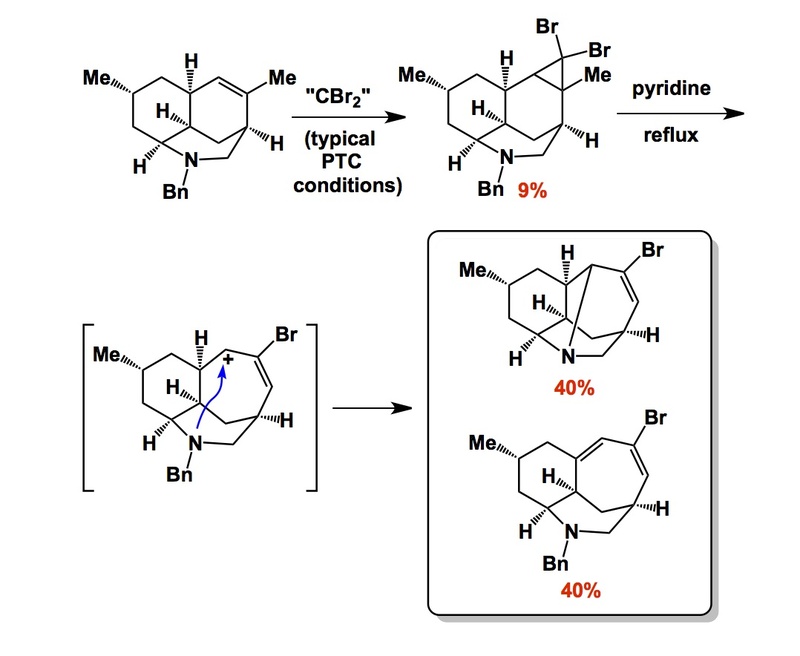 Here is a fascinating recent example of a small molecule developed in the lab of Professor Ahn at the UT Southwestern, Dallas, Texas. This paper, published in Nature Communications by Ahn and his collaborator Ganesh Raj, is a lesson to all of us who think that mimicry of complex epitopes using small molecules is a lofty goal. Well, it certainly is a lofty one, but it is also reachable! This and other examples (Hamilton’s great work on polyaromatic molecules comes to mind) exemplify the state of the art in reductionist systems feasible with smart design. 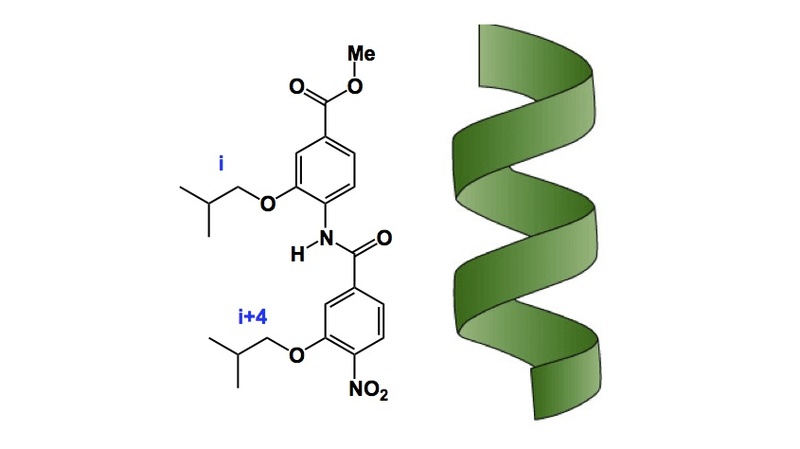 Look at the helical pitch (below) and its mimicry by a trivial amide compound. I am willing to bet there is a lot of completely unexplored molecules that are also small, perhaps a bit more architecturally advanced than the one shown, yet capable of interrogating non-helical epitopes, including disordered ones. In Ahn’s example, the IC50 of 40nm was achieved in efforts to disrupt specific protein-protein interactions involving LXXLL motifs. The use of such simple molecules in targeting androgen receptor-coreceptor interactions has been demonstrated to have clinical value. Kudos to Ahn and co-workers who designed these wonderful molecules! The most important lesson I learned from my mentor, Professor Barry Sharpless of Scripps, is that complex problems do not require complex solutions (as opposed to what many people in synthesis preach). The present case certainly underscores this notion.